“When I first started growing plants indoors and in hydroponic systems, I had no clue what I was doing. Epic Gardening makes an excellent point! Just started out growing with Hydroponics and CFL grow lights? You are probably overwhelmed with all the information to dissect! We can help you find the best CFL grow lights in the UK for vegetative growth. What are CFL Grow Lights? How many hours of light is needed? 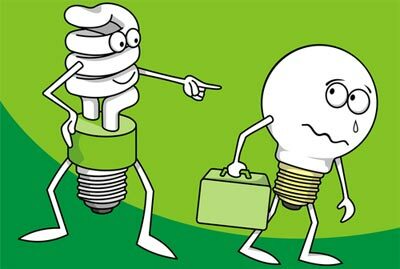 What are CFL Lights (Compact Fluorescent Lightbulbs)? Originally CFL lights were created to replace the incandescent light. The heat and the light ratio was not great with incandescent lights as they used up to 90% heat to 10% light. CFL lights last around x10 longer than their predecessor and produce far less heat. But more importantly these newer lights need less Watts to achieve the same output as incandescent lamps. What is Colour Temperature and does it matter? CFL grow lights emit the light in different ways. For vegetative growth, you will need to look at the higher colour temp of 5000-6500K (Degrees Kelvin) this is a blue type colour. Lower colour temperatures of 2500-3000K will aid the plant during its flowering or fruit stages. The colour here is along the red/yellow spectrum. Some types of plants prefer natural daylight this is around 6000K. Light fixtures are an excellent way to make life easier; this is because using separate bulbs can mean lots of housings and messy wires. If you would prefer to go down this route, we have found the best CFL fixture to get you going. These light fixings house x4 2ft T5 cool daylight tubes at 6500K ideal for vegetative growth and propagation. These tubes come supplied with the unit. These tubes use 96W in total and 6600 Lumens. This housing fixture doesn’t come with warm White flowering type tubes (2500-3000K) So if you’re growing plants that require flowering or fruit stages, then you will need to buy some extra 2500-3000K tubes. You can find them here. In short: More Wattage creates more light which in-turn makes for faster growth. How many bulbs will I need per plant? There’s a rough guide formula that if the grow area was 2ft x2ft = 4ft squared. So for the desired wattage! (Wattage x ft²). In this case, it’s 40 x 4 = 160 watts; this can be rounded up to 200w to achieve maximum growth. Most vegetables need between 14 to 18 hours light every day. If in the seedling stage make sure they get around x8 hours in darkness. These types of light systems work excellent with hydroponics/aquaponics, read more on it here. If you have any question or think of any improvements, then please leave a comment below.